The appearance of your lawn is important to the overall value of your property. For residents in Izard County, they rely on the lawn maintenance services of Affordable Stump Grinding in Calico Rock, AR. With affordable rates and a variety of landscaping services, they can help you boost curb appeal and keep your lawn healthy and vibrant. When your lawn needs maintenance, the passionate professionals at Affordable Stump Grinding will assess your property and design a plan to fit your budget and needs. And with the latest technology, they can quickly clean up your lawn—from stump removal and grinding to garden cleaning. 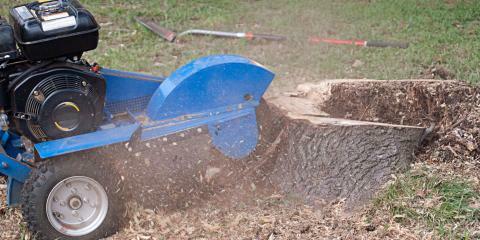 As the company’s name suggests, they specialize in tree services and stump grinding. Not only are tree stumps unsightly, but they are also dangerous for your lawn and family. Affordable Stump Grinding will remove it, grind it, and patch up the area to stimulate new grass or tree growth. Restore the beauty of your yard and turn to Affordable Stump Grinding for tree removal, lawn care, and tree services. Call them today at (870) 405-3058 for a free estimate or visit online for more information.